Who would not be attracted to divert at the sign post to Green Bottom? It is a small hamlet clustered around a pond and a chapel. At first glance, the area appears very shady as if it would only support flowers such as bluebells, wood anemones and primroses that have to make their appearance before the leaf canopy arrives. The site we went to visit was quite unexpected and contrasting. Formal gardens surrounded the house with feeding stations for a very varied collection of birds and ponds and waterfalls which supported burgeoning aquatic life. Behind a hedge of mixed shrubs lay the wildflower meadows which enabled the wilderness of the meadows to be separated from the formal gardens. 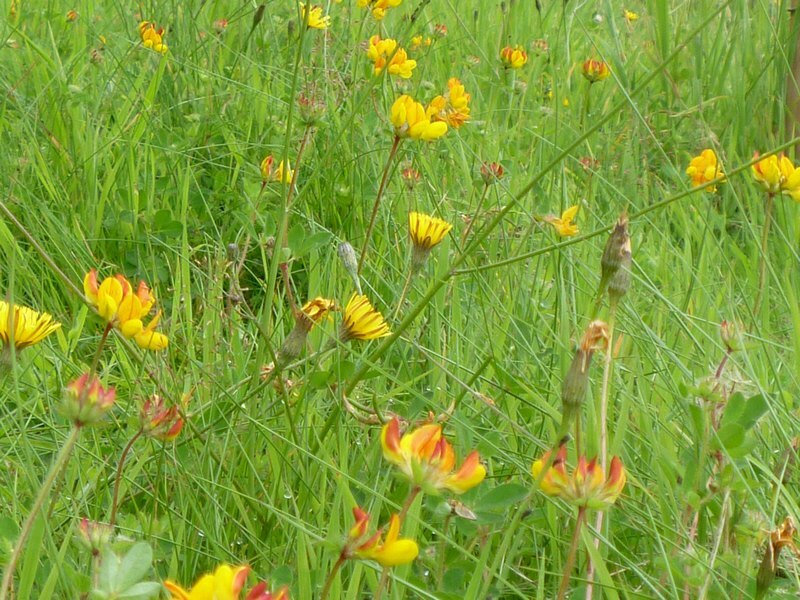 The meadows rose steeply affording beautiful views and much poorer soil. 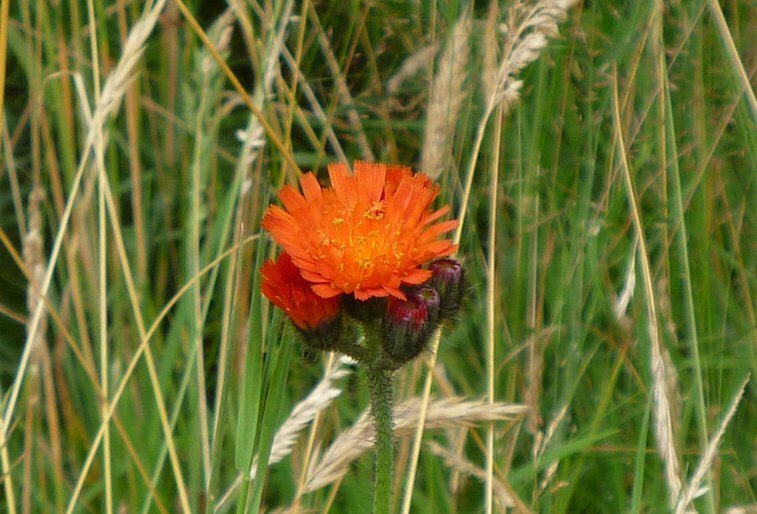 At the top where there was almost no topsoil at all the flowers were the most abundant, especially fox and cubs a delightful ‘orange; cats ear type flower, which speckled the meadow and will flower again later in the season if cut soon after flowering in July. 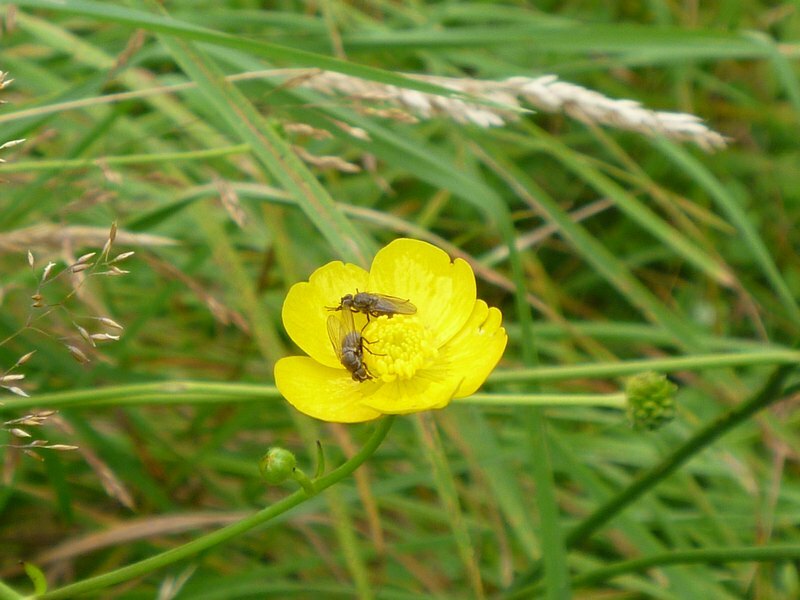 We counted and recorded almost 100 different species of flowers and grasses, which in its turn will support a plethora of butterflies and other wildlife. 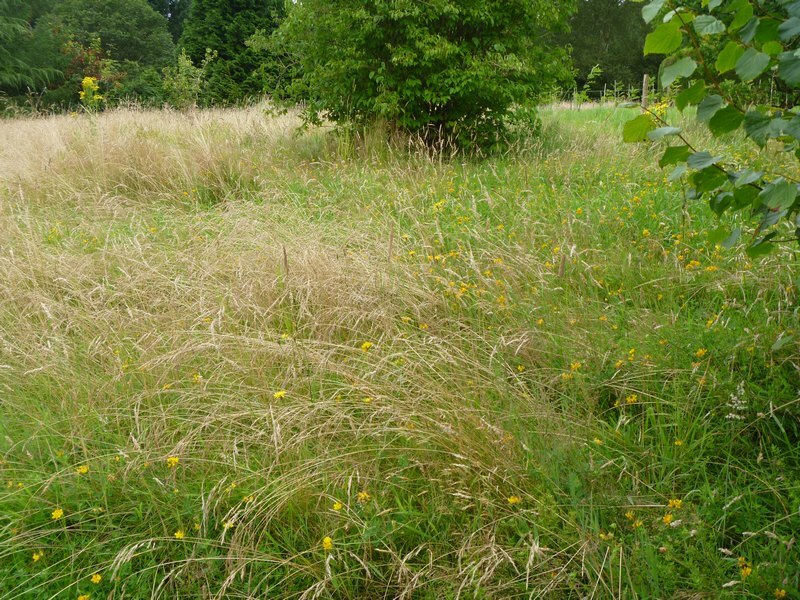 Paths have been cut around the meadows to allow access and it is proposed to cut the whole meadow once a year and remove the hay to reduce the fertility. 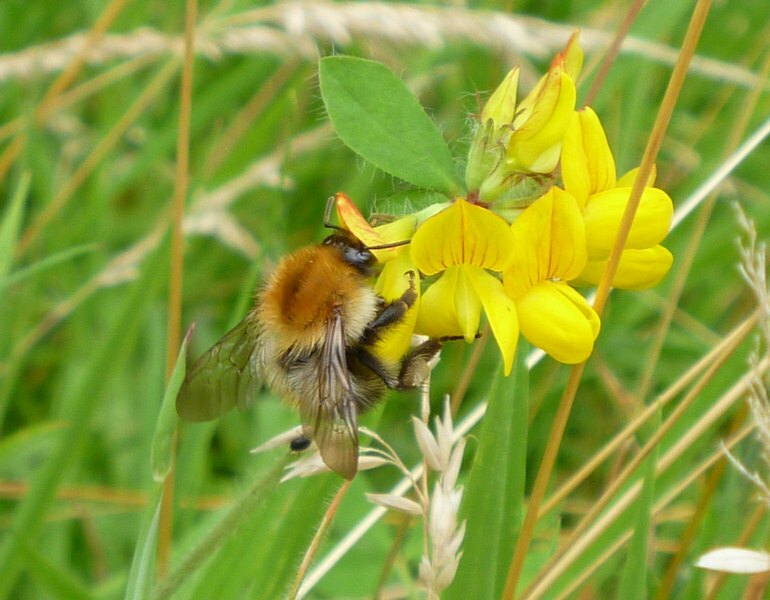 There is a lot of bird’s foot trefoil, which reduces some of the grasses and yellow rattle could be introduced to reduce the grasses further. 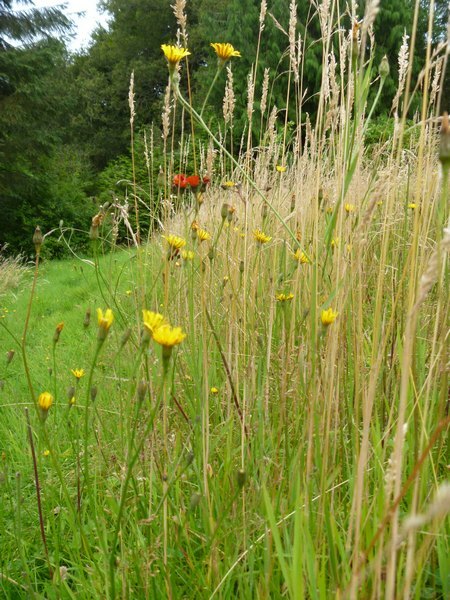 The current owners also have plans to build a wildlife pond in the meadows. 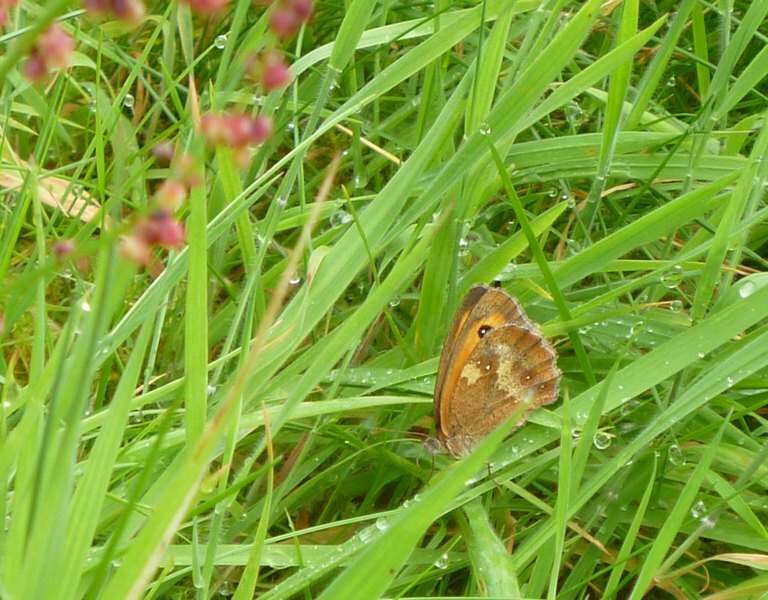 With its current careful management this site can only increase in its beauty and diversity.